A brief preview of group D of the Worlds 2016 group stages. Group D, or "the group of death" as most call it, is arguably the hardest group in this tournament. Team Solo Mid, by far America's top team, combined with Royal Never Give Up, who is the second seed coming from LPL, and Samsung Galaxy, the third seed out of the LCK, but a very tough third seed. TSM, North America's golden child, is the most intruiging NA team to head into worlds. The most dominant team in the split, with new support Biofrost, are primed for a deep run into Worlds. 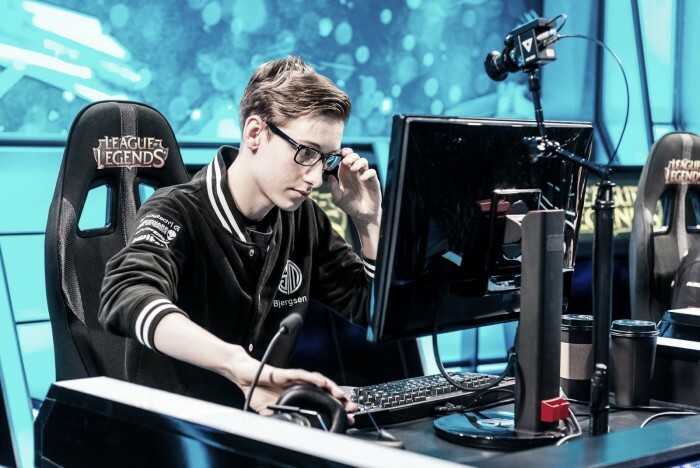 TSM Bjergsen, who just might be the best mid-laner in the tournament right now, is leading this team to new heights. Although a young team, behind Hauntzer and Biofrost, TSM's strategic ablity and play-making makes them a top-tier team. After reaching second in the LPL summer split, RNG is one of those teams, like EDG, who can very well win this whole thing. RNG from top to bottom are as talented as anyone. With a top-3 botlane, Uzi and Mata match up with anyone in a 2v2 duel. Will RNG step up to the plate and show the world what their ceiling is? Samsung Galaxy is the third team to come out of the LCK. While they don't pose near as much of a threat as the likes of SKT or ROX, Samsung Galaxy is no pushover. This team is battled tested from playing Korean teams often, and is a sneaky pick to make it out of this group. Splyce originates from Team Dignitas EU, making their debut in the 2016 Spring Split. Splyce took second in the EU summer split. Although they are a severe underdog in the group of death, Splyce is a solid team. They play together and have a unique relationship with each other, which can fuel them through games. Most don't expect them to do well, but they may surprise you. Group D is the group of death in this writer's opinion. It is really unpredictable how it will unfold. RNG is likely the favorite to get first in it, but it is up in the air.